Warner Edwards’ first still was a 500-litre gas-fired Holstein Pot still. At the time of its arrival, it was the first Arnold Holstein family still in the UK. 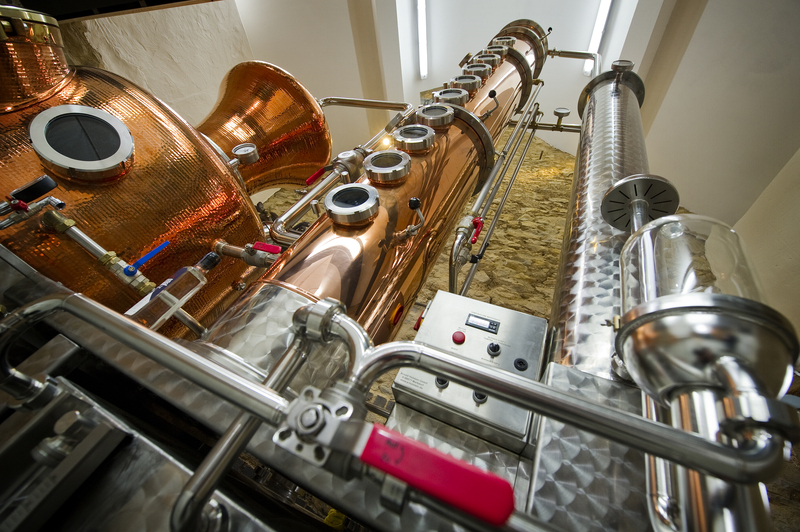 Dubbed ‘Curiosity’, the still features a 4.3-metre rectifying column, a dephlegmator, and catalyser. The latter of which Tom describes as being the primary reason why they went with a Holstein. In short, the catalyser is a honeycomb-like copper plate which increases copper surface area thus reducing the presence of unwanted compounds in the final distillate. Or more simply, the final spirit will just taste better.